It's another strong, consistent and laugh-out-loud funny special from the affable comic. On the one hand, Jim Gaffigan's sixth comedy special treads much of the same territory as his others, namely his love of food and leisure, but since his last special his wife went through brain surgery, which imbues the hour-long routine with pathos and catharsis. Gaffigan himself remains a calming and quietly riveting screen presence, and his self-deprecation is an effective way of connecting to the audience in a pleasantly low-key manner. 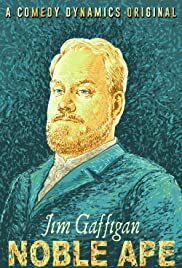 There's nothing forced about Gaffigan's comedy, and while there's a bit more of an edge this time around, he remains the king of clean comedy, able to extract sincerity and hilarious anecdotes from even the most mundane activities.